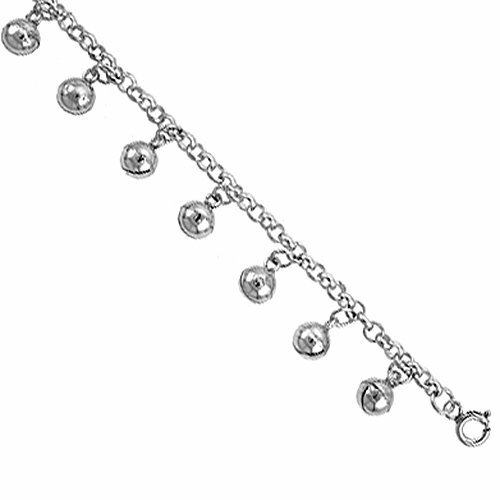 This Sterling Silver Charm Bracelet comes with An Extension Chain so it can be used on wrist sizes 7 to 8 inches long. This Bracelet is all Hand Crafted, very well made and the charm balls jingles. The total width with the dangling charms is about 1/2 inch (12mm).